Mutual fund Class B shares, aka back-loaded funds, are mutual funds that have a sales charge, often called a load, when you sell shares of the fund. Generally, the long-term cost of owning Class B funds can be more expensive than holding A shares and always more expensive than holding low-cost, no-load funds. You may have heard that mutual fund Class B shares are a good buy -- especially from transaction-oriented, commission-based advisors/brokers. But, at the same time, you might also hear that more and more mutual fund companies are saying “goodbye” to mutual fund B shares. What Are Mutual Fund Class B Shares? Most mutual funds offer various classes of shares for purchase (the differences are in the mutual fund fees and expenses of each share class). Several common mutual fund share classes include: Class A, Class B and Class C mutual fund shares. Each share class requires a management and operating fee and many share classes also include a 12b-1 fee. Mutual fund B shares do not require front-end sales charges, but carry a contingent deferred sales charge (CDSC) and have a higher 12b-1 fee (a 1% 12b-1 fee is common) than other mutual fund share classes. CDSCs are charges imposed on shareholders who sell their shares in the fund during the surrender period. These CDSCs are not paid to advisors, but to the fund company to cover various costs, including the upfront commissions the fund pays to advisors (often as high as 4%). Investors do not see these upfront commissions charged by funds that are paid to the advisors who offer the fund shares for purchase. Specific CDSCs are outlined in the mutual fund’s prospectus and the cost depends on how long the investor holds his/her shares. Many mutual fund B shares have a CDSC that is reduced to 0% by year six, while in year seven, the mutual fund Class B shares convert to Class A shares (which carry no surrender charges and have lower 12b-1 fees). Should You Buy B Shares? In some cases, if you compare various mutual fund share classes, you might be given a set of scenarios whereby mutual fund B shares look more attractive than other share classes of the same fund. For instance, if you use FINRA’s Fund Analyzer software, you might find that given a longer time frame, and less than $100,000 to invest in one fund family, then mutual fund B shares are, often times, more appropriate than Class A shares (which include upfront sales commissions and breakpoints) and C shares (which incur ongoing 12b-1 fees). But, as with any investment—the devil can often be found in the details. You would be wise to remain cautious when using hypothetical scenarios to determine the best investment for your portfolio. For example, FINRA’s Fund Analyzer scenario, and similar ones, may be accurate when simply comparing the fee structures of Class A, Class B and Class C shares, but does that mean you should purchase mutual fund B shares? What happens if your mutual fund manager leaves? What happens if the mutual fund becomes bloated with assets? What happens if the mutual fund’s style drifts from growth to value? In other words, what happens if you want to sell your mutual fund B shares? If you need to sell a particular mutual fund’s B shares for any of these reasons, or to satisfy a cash crunch, you might be able to easily switch from one fund to another within the same fund family without incurring surrender penalties (but, you still may incur capital gains). So, does the fund family in which you purchased the original mutual fund B shares have another adequate mutual fund, or will you be forced to settle with a mediocre fund in order to avoid surrender charges? There will always be advisors, and maybe even investors, who want to debate whether choosing mutual fund B shares is a poor decision -- arguing that they are suitable for investors in certain circumstances. Unfortunately, the way B shares are explained and the way they are sold is a major problem facing investors today. Millions of dollars in restitution has been paid to investors for suitability issues over the years, while numerous brokerage firms have been fined and censored, and some brokers have even been disciplined and suspended after recommending this particular class of mutual fund shares to investors for whom they are not suitable. Along this line, mutual fund B shares are often mischaracterized as no-load funds, a particular class of mutual funds that do not charge sales loads, but can incur other fees. If you are subjected to this “mischaracterization” of mutual fund B shares by an advisor, hold on to your wallet while you walk out the door. Despite their potential for profitability to advisors, the trend over the past several years has been for mutual funds to eliminate Class B shares from fund company line-ups. 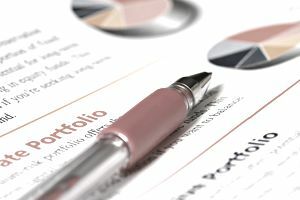 This trend toward fewer sales of Class B shares might well be due to better-informed mutual fund investors and more scrupulous brokerage firm compliance departments who are no longer recommending mutual fund B shares to unsuspecting investors not for suitability reasons, but due to their high commission structure to advisors. Tread carefully before purchasing mutual fund B shares that you have not carefully researched before purchase and carefully plan your exit strategy. What happens if/when you need to sell? Unless you've held the fund for several years, you'll owe a sales charge. Also, the 12b-1 fees attached during the years you held the fund often increase the cost of B Shares higher than no-load funds.